Claude Térosier is the founder and CEO of Magic Makers, an IT programming school for kids and teens created in 2013. 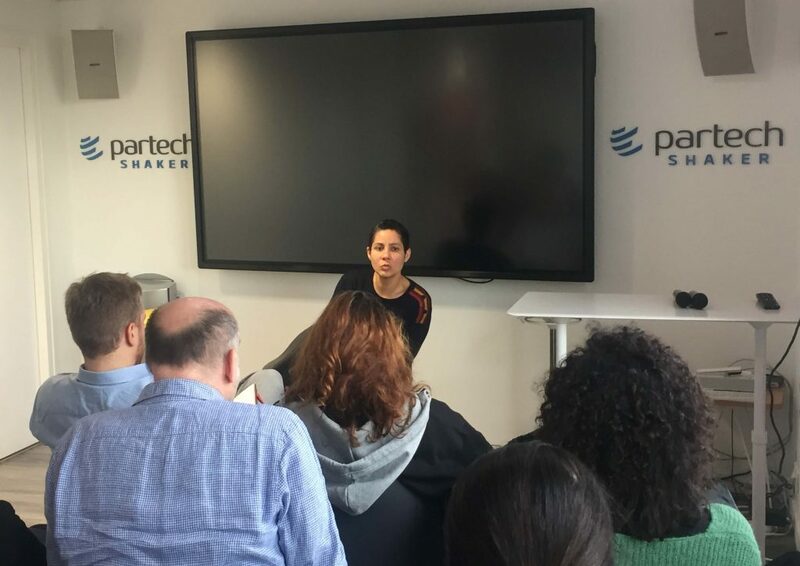 She shared some tips with us, reflecting on her journey, and discussed key topics such as the impact of her move from former employee to entrepreneur, and how a company’s steady growth requires its CEO to constantly learn and adapt. For Claude, leaving a well-paid job was not an easy decision, but she was highly motivated. For once, she was going “to do what she believed in and not what was expected of her”. After her intuition came a change of posture. She felt that after 15 years as an employee, she needed to feel free to do what she really believed in. “Our kids use some objects that we didn’t have at their age, she says. That’s why it is so difficult for us, parents, to know how our children should use their smartphone. Some parents are technophobic: they don’t allow their children to use technology to prevent them from its dangers. These dangers are real, but technology also offers great learning opportunities. We need to support our children. I wanted to change them from passive users to players of the digital world.” Magic Makers, uses an innovative educational approach to develop a creative mind through code learning. Behind this idea lies a strong conviction: digital technology can empower children to take control of their lives. Claude began by creating a Blog and her first article was on “Why it is important to teach children how to code”. Communication played a key role in making her project a reality. To test her ideas, she discussed her projects a lot with friends, ex-colleagues and incubators. At Numa, she discovered a whole new world, driven by enthusiasm, where anything is possible. From the very beginning, she got a lot of insight, help and advice from people she spoke to. Her project matured and evolved according to the feedback she received. “I am convinced that it is key to adjust your project to what resonates or not with others”, she says. Still, I was apprehensive, and my emotions swung between hope and fear. As I had many financial constraints, I constantly had to work on myself to recreate this freedom space.” Claude did hesitate between creating an association or a company. But she really wanted to have an impact and to reach as many children as possible. Claude began by inviting parents over to her home to present her project. She then launched a free Saturday morning pilot workshop in the IT room at her children’s school. In 2014, Claude met Paris Pionnière, the incubator that supports women in founding innovative businesses. She wanted to test if people were ready to pay for her coding workshop. May 2014 marked the launch of Magic Makers website and the opening of her first course centre. By September 2014, 160 children were registered for coding courses. Claude was invited to talk about Magic Makers on TV, on Canal + and TF1. “At school, you learn that to be good, you always need to know the right answer, she says. You are asked to raise your hand when you know the right answer, not when you don’t. But in life and at work, you make progress when you do something wrong, when you ask your colleagues for some help.” This new way of learning is the foundation of Magic Makers, based on the following values: Take on the power of technology, learn from your mistakes, collaborate, learn to learn. In 2016, Magic Makers opened 4 new centres, including one outside Paris. The 600,000 euros were soon spent and filling the centres with children was more difficult than planned. Once again, Claude had lost her freedom space.